The Witcher 3: Wild Hunt available on PC, PS4 and Xbox One. CD Projekt Red seemingly came out of nowhere. 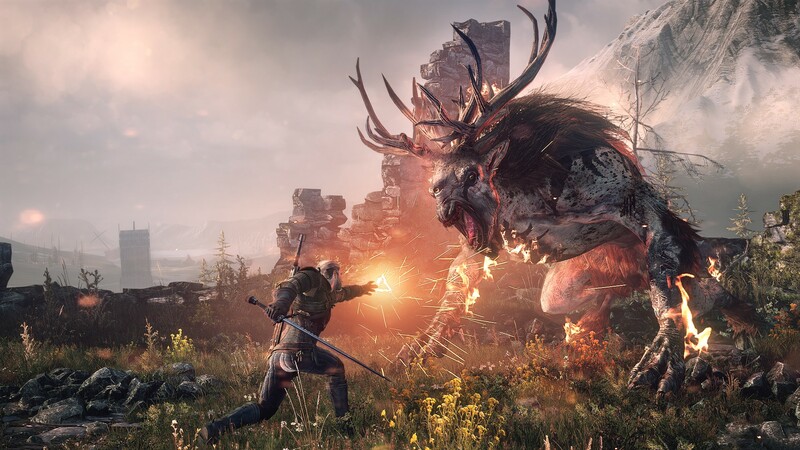 They had made good games in the past but several years ago at E3 they unveiled The Witcher: Wild Hunt, a game that has been on many gamer’s must play lists for a very long time. It seemed The Witcher would be one of the most beautiful RPG’s to date, with a rich world full of characters to encounter and monsters to slay utilizing an incredibly deep and visually satisfying combat system. However the game is now available and many have asked whether it lives up to the hype? For those learning about The Witcher for the first time here is a basic recap. You play as Geralt of Rivia who for all extensive purposes is a monster hunter for hire. Over the course of this sprawling Western RPG you will travel across enormous maps Hunting down many creatures from mythological folk law and learning the surprisingly emotional tales of individuals living in this world. If this is the third game will I be able to follow the story? Like many, this is my first taste of The Witcher series. The original game was released in 2007 on PC and it’s sequel was both on PC and Xbox 360. So this is technically the first game in the series playable for those who own a Sony console. I went into the Witcher expecting vast amounts of confusion and was somewhat surprised. The Witcher tackles many issues we face in the real world, such as racism, war and poverty and so although many of the Faction names and nationality’s populating the world initially meant very little to me this doesn’t impact your understanding of the greater themes of the story. Past characters are introduced to new players to a satisfactory level and although those who played the first two entries may have a deeper level of attachment to certain characters new players are not punished. However just because the story is accessible to new players does not necessarily guarantee it’s quality. The Witcher 3’s main quest was disappointingly lackluster. For the majority of the game your main goal without spoiling too much is to find your adopted daughter Ciri, however besides a few fleeting encounters we are given very little incentive to care for Ciri let alone track her down. Considering she is the pinnacle of your endeavors perhaps more thought could have been put into developing her as a character somewhere along the 40 hour story quest. So although RPG’s are not necessarily known for there gripping narratives I warn those merely looking for a good story to look elsewhere. 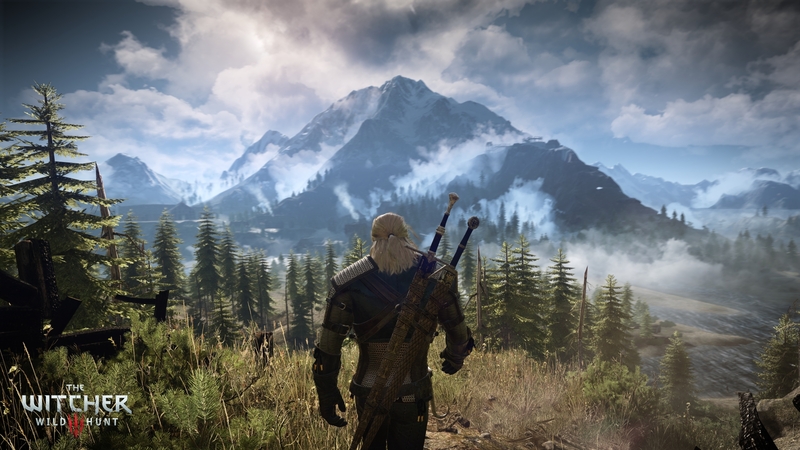 The Witcher’s world is like a high fantasy Red Dead Redemption. The actual world you can explore within The Witcher: Wild Hunt is probably it’s greatest achievement. The landscape is reminiscent of 2010’s Red Dead Redemption. 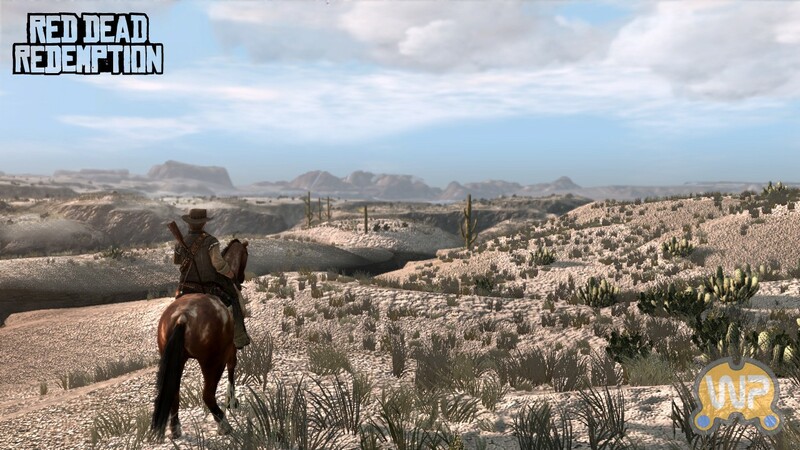 Although The Witcher sports beautiful forests and fear inducing swamps compared to Red Dead’s Mexican deserts, both are Densely populated with wildlife, incredibly detailed in regards to their landscapes and often left me looking at the horizon with a mixed feeling of peacefulness and awe. Another aspect where these two games relate are in their world building. When you show up in a town in either of these games you are met with a feeling of realism, the people that move through it seem as if they actually live there and many of whom will offer interesting side quests. 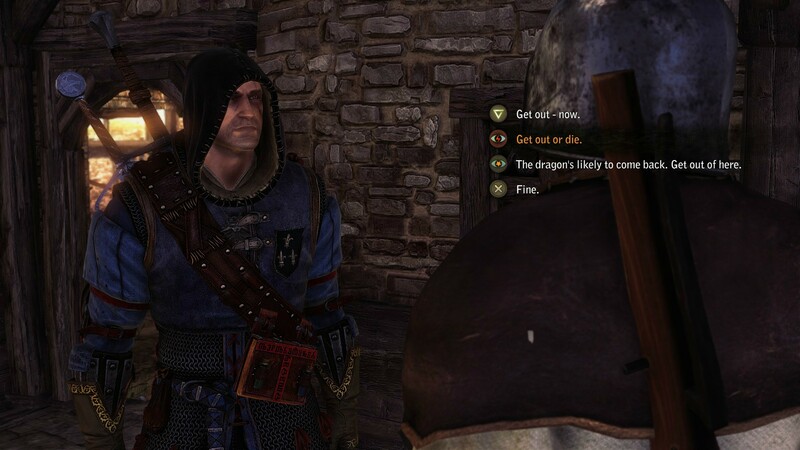 Unlike many RPG’s where a side quest entails nothing more than being asked to retrieve something, retrieving said item and then returning, much like Red Dead Redemption The Witcher: Wild Hunt’s side quests all possess considerable meaning. I found a simple quest to track wolves with a hunter lead to an emotional uncovering that he was exiled for being a homosexual. Side quests like these make the world and it’s inhabitants feel real, are often far more interesting than the main quest and can in fact cause effects in the main story and other side missions later in the game. The Witcher’s combat is rewarding and reminiscent of Dark souls. Hang on if that comment scared you, because the Witcher is nowhere near as unforgiving as any of the Dark souls games, especially with the option to lower the difficulty if you’d prefer to just enjoy the story. However combat with the vast variety of creatures you face is deep like the souls series. You can’t merely walk into a battle and swing expecting to slay every creature on the higher difficulties. There are tactics that you must master to determine what potions to consume before battle and what spells and bombs will be most useful in combat. 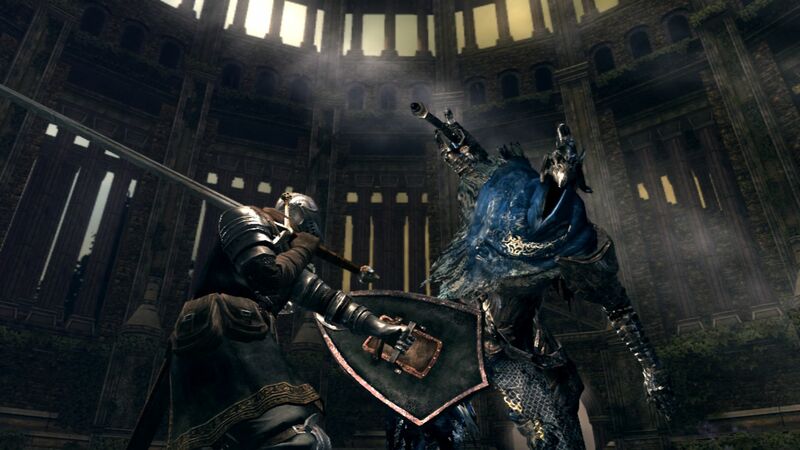 Dodging and blocking are also critical to your survival much like in the souls series when larger enemies can take you down in two or three hits. This level of deepness should not be intimidating. It makes combat far more interesting and like the Souls series there is a level of satisfaction to be had when after a lengthy battle you manage to take down an enormous Fiend or Ice Giant. 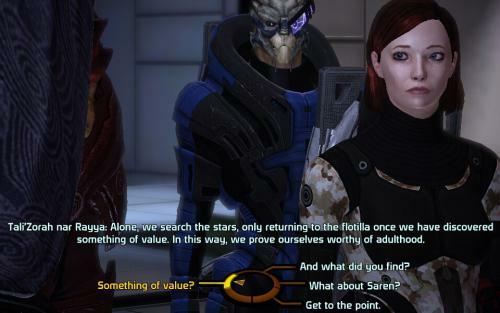 Choices are not as obvious as they are in Mass effect. Within the world of Mass Effect choices are obvious. You know when you’re about to save someones life and when you’re supposed to end it. The Witcher: Wild Hunt is the complete opposite. You don’t really realize your making choices, things spontaneously happen and you make decisions without even realizing it. It doesn’t truly sink in, the importance of your choices until later in the game something occurs 10 hours later during your quest. Characters are killed and side missions are canceled. Your choice to spare someone can lead to another hating you. It’s an extremely dynamic process and a more natural way of handling decision making. Unfortunately this kind of concept did not gel with me. This ambiguity made the narrative feel a lot more linear and therefore I felt as if I was being told the story CD Projekt Red envisioned rather than my own tailored experience. We are constantly trying to reach new levels of realism within games, however some facets I think are better staying simple. So I’ve discussed how The Witcher: Wild Hunt’s world is very similar to that of Red Dead Redemption but in a high fantasy setting, how the combat is similar to that of the Souls series and how CD Projekt Red’s decision to change decision making in comparison to that of the Mass Effect series was not as effective as they may have thought, but what is new? 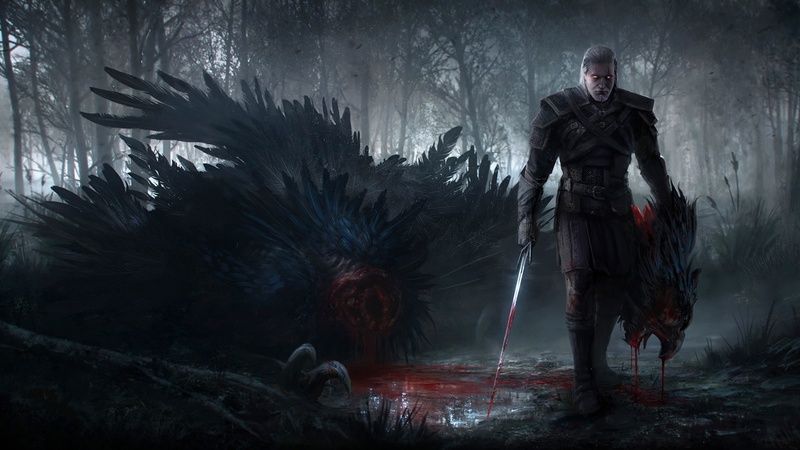 Compared to many RPG’s the Witcher: Wild Hunt dares to venture outside of dry land. There are extensive area’s of the game only accessible though boat travel. This gameplay mechanic adds an incredibly interesting new layer to exploration, and a level of danger when you are forced to swim down towards the bottom of the ocean and are forced to face sirens that lurk in the depths. One of the biggest mechanics in The Witcher is also one of it’s most unique. Many side quests involve you being contracted to hunt down a monster of some sort. There is an interesting process in which you hunt your prey. You ask around a village, gather as much information as possible, then venture into the wilderness and follow it’s tracks/ scent or blood. Upon working out the breed of monster you are facing you agree upon a price and prepare select potions and spells to ready you for combat. It’s a very natural and unique process I’ve never before experienced in a game but does a powerful job at making you feel like a real monster hunter and that these monsters are truly wildlife existing within this world. If you’re looking for a game that is a mix between Red Dead Redemption and Dark souls this may be a game for you. The world is beautiful and easy to get lost in, with a deep challenging combat system that pits you against fearsome monsters of folk lore. However if your driven to play games based on there narrative integrity or are overwhelmed by a world which could literally take over 150 hours to see it all, this one may not be for you.